If you’re always on the go, whether for business or pleasure, then you know the importance of organization. From luggage that neatly contains all of your belongings to desk organizers that keep you clutter free when work matters most, you make smart purchases to make your life more manageable. So, it isn’t surprising that you would like to be as organized as possible when it comes to your home, too. That’s why we’ve rounded up our top DIY home organization tips for people on the go, so that you can be as organized as possible in every facet of your busy life. Home organization accessories and solutions are pricey. One DIY home organization tip is to customize your drawer dividers using a pair of scissors and shoe boxes. All you need to do is measure your drawer and the materials you want to place in the divider, and then cut the shoe boxes to fit. Sometimes, it’s as easy as cutting the boxes in half by length or width. Place the cut boxes inside the drawer and get organizing! 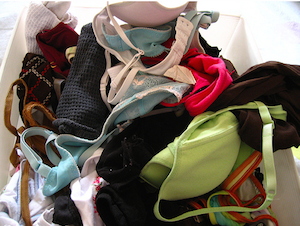 You’ll feel good knowing that you can find your stuff, and that you are saving the planet by recycling. 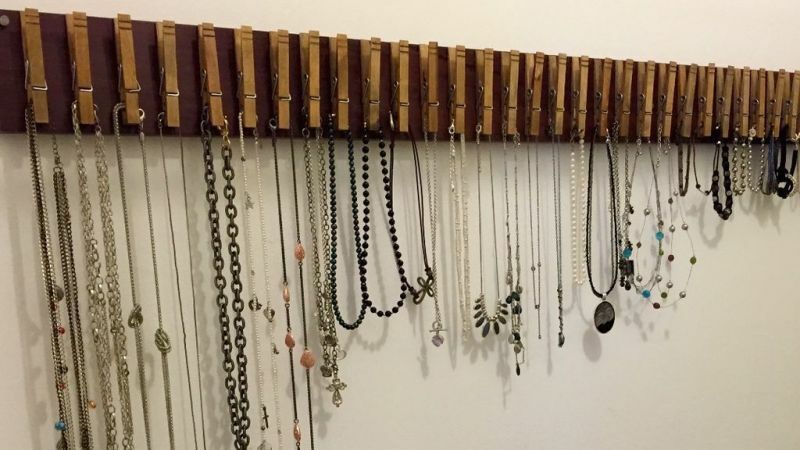 Tension rods are a great DIY home organization solution for some unexpected places. Cleaning supply spray bottles easily hang over tension rods under the sink, to give you more space on the bottom of the cabinet for items that can’t hang. 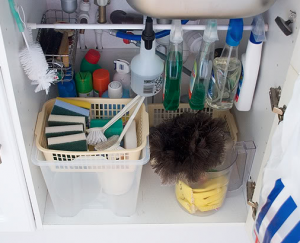 This will make your cleaning supplies much easier to find and will help you to avoid knocking them over when looking for other items under the sink. It’s a good idea to get a tension rod because you can adjust their length and install them easily and inexpensively without drilling any holes or using any hardware. Keep in mind that you may want to position the rod about four inches from the top of the cabinet and close to the door for easy access. A lightweight rod will support four to six bottles. Chances are, you have some CD storage racks somewhere that you aren’t using. CD holders often are just the right size for all of those storage container lids that are taking over your kitchen drawers and cabinets. With a CD holder, you’ll find yourself organizing the lids in no time, and you’ll be able to find the right lid for the right container without wasting time searching. 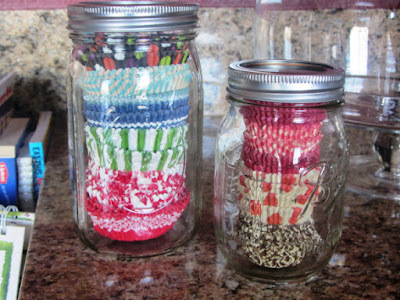 Mason jars are useful for organizing dry pasta and other nonperishables, but you can use them for far more than food. One such use is to store unused cupcake liners inside. The mason jar allows you to see which liners you have, and the quantity of each, to save you time when preparing to make your next batch of muffins or cupcakes. Better still, you’ll have fun decorating your kitchen with this DIY home organization time for people on the go, as it allows you to add pops of color and texture to your home. Whether you put them in your bathroom or bedroom, DIY accessory holders are a great way to organize jewelry, belts, and other accessories. All you need is a piece of craft wood approximately 6” x 36”, a pack of wooden clothespins, and a glue gun. You also could use paint or stain to decorate your accessory holder if you want. Simply decide how far apart you want to place your clothespins and start gluing them to the front of the craft wood. Just be careful when running the bead of glue down the clothespin, because if you use too much, it will ooze out. Be sure to lay the craft wood flat while allowing the glue to dry. Then, decide how you want to hang the accessory holder. You may choose sticky strips or add hardware to hang the holder on the wall. DIY home organization is a quick way to declutter your home and save yourself time and money. Our five tips are sure to inspire you to find other ways to organize your home, especially if you are always on the go and don’t have time to be searching for your belongings and supplies. Aimee Lyons is a creative spirit who loves channeling her energies into DIY projects of all stripes and colors. From crafts to home projects, Aimee isn’t afraid to dive right in and learn as she goes. She created DIYDarlin.com to spread her love of DIY and help others tackle projects with confidence. She lives with her corgi, Champ, in Austin, TX.